You are here: Home » Social Media » Twitter » Who Will Twitter Acquire Next, TwitPic? So what’s next for Twitter? Well if we take a closer look the writing should be on the wall, no? It seems clear to me that the one thing Twitter is missing in its arsenal right now is its own photo service. The real question is whether or not Twitter will build their own photo service or acquire an existing photo service? Another question would be which photo service would they consider to acquire if they were in the market? According to Fred Wilson “without Summize, TwitPic, and Tweetie we would not have the Twitter we have today.” I think most people would agree that all three names played an important role in Twitter’s success, but what can we see looking at this picture? For starters, we’re beginning to see a pattern here. In 2008 Twitter acquired Summize, a search engine that was built specifically to index Twitter posts and tonight Twitter announced they had acquired Tweetie which leaves only one company left standing – TwitPic, the largest and most popular photo service on Twitter. 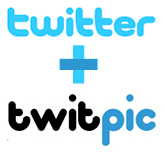 While Twitter has the ability to build their own photo service, it is my opinion that Twitter will make a move to acquire TwitPic in the near future. Some of you might be wondering how I arrived at this conclusion so let me explain. When Twitter and RIM got together to discuss building the official Twitter app for the BlackBerry, Twitter decided what features were going to be included in the app – not RIM. I’ve been beta testing Twitter for BlackBerry for a couple months and after the second beta was released with improved TwitPic support it was clear to me that TwitPic will be bought by Twitter. Why? There are two reasons actually. The first reason is that the developers at RIM were instructed to add built-in support for TwitPic only – no other photo service is available. If Twitter had plans to build their own photo service they would have completed this project prior to developing Twitter for BlackBerry. Moreover, if they had their eye on a specific photo service to scoop up the deal would have been done worked out before they released Twitter for BlackBerry. Second, TwitPic is not only the largest and most popular photo service on Twitter, it’s the first photo service to arrive on the scene. TwitPic houses millions of Twitter images on its server and the last thing Twitter wants to do is upset its users by building their own photo service or acquiring a less popular photo service. In a poll conducted by Mashable, readers chose TwitPic as their favorite photo sharing service so its appears that even heading into 2010 TwitPic is still considered the most popular photo service on Twitter. There is no question that TwitPic needs a new coat of paint and is lacking a lot of compelling features that other photo services possess, but people are comfortable using TwitPic and would probably be reluctant to make a switch. It would probably be in Twitter’s best interest to acquire TwitPic, add all the bells and whistles that will help make it look pretty, and call it a done deal. It’s worth mentioning that Tweetie already supports multiple photo services, therefore, it’s unclear what Twitter plans to do with it before they release the official Tweetie for iPhone. If Twitter decides to discontinue support for all photo services except TwitPic then something is definitely brewing behind the scenes. However, if Tweetie continues to support multiple photo services it could either mean Twitter is keeping their options open or perhaps they just don’t want to upset those users who have been using Tweetie for a while. I’m interested in seeing Twitter’s next move. Although I predict the TwitPic acquisition will become a reality, there are so many other areas where Twitter will most likely be expanding their efforts. Mobile is one of those areas and it’s obvious that Twitter for Android will be the name for the official Android app, but at this point it’s hard to say which third-party developer will get the nod from Twitter. As far as a Twitter URL shortener service, I believe that is on the way, but Twitter will probably take care of that one on their own. Lastly, could TweetDeck and TweetMeMe get an offer from Twitter? I’ll leave that up to you to decide.